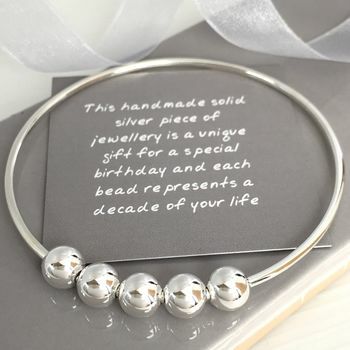 Handmade silver jewellery for a special birthday or special occasion. Thank you for looking at my jewellery. I hope you like it as much as I enjoy making it! If you have any queries, don't hesitate to contact me. I'm originally from Denmark but have been living in the UK for over 20 years. Although I feel very at home in England, I draw a lot of my inspiration from Danish design which is very simplistic. 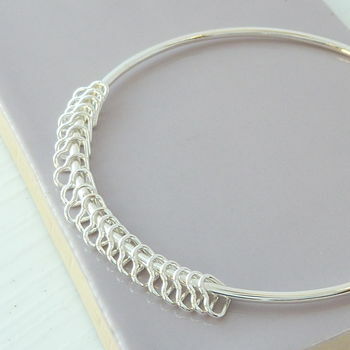 My silver jewellery is designed along simple lines and is individually handcrafted from silver sheet and wire with traditional jeweller's tools. I use specialist silversmithing techniques to give some of my jewellery an organic look which means that no two pieces are ever the same. I also like working with different patterns in different ways and my designs reflect this. "Beautiful bracelet, was very pleased with it & friend delighted to receive it. It was beautifully packaged & arrived as promised, in time for the special birthday. Overall,from contact with Helle to my friend receiving her gift, an absolute pleasure & I'm so glad I chose the bracelet." 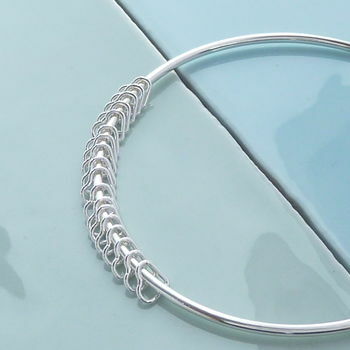 "This silver bangle is a great quality with 18 small silver hearts around it. It comes in lovely packaging with 'homemade by Helle' card. I needed to contact Helle who responded quickly and was extremely helpful. The bangle lovely unique gift for an 18th birthday gift. The recipient loved it." "Beautiful product - so much I got two and both recipients loved them. A subtle 21st gift that can be worn all their lives. Great service and quality product. Thank you." "Far nicer than the picture. 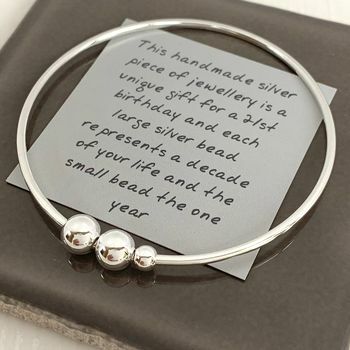 Very pleased a lovely 21st gift"
I am pleased to offer free UK delivery via Royal Mail delivery on all my jewellery with my compliments. 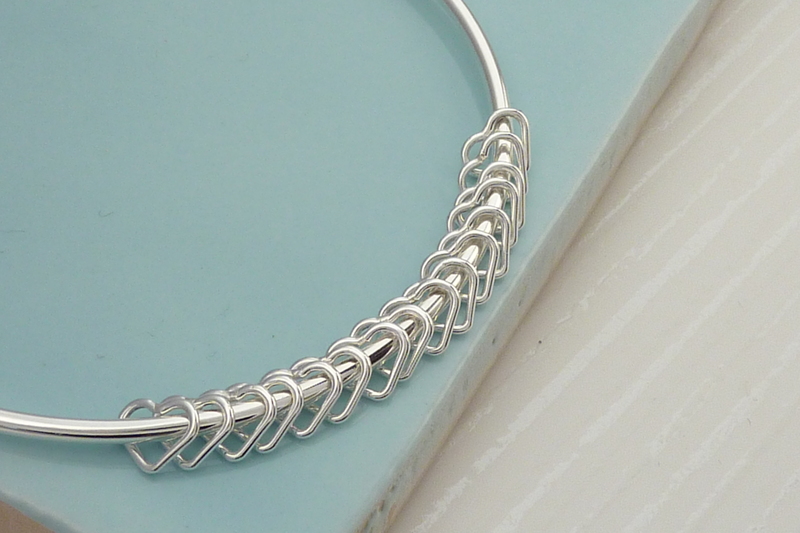 At Handmade by Helle, we do all we can to describe the jewellery as accurately as possible. However, the colours and images that you see online may not exactly replicate what you receive due to the laptop on which you're viewing them. All dimensions are approximate.